As the name suggest Dandelion flower signifies power of sun and warmth. Since, the flower Dandelion symbolises the ability to rise above the life’s challenges. And that’s what best describes Mukta Nandini Jain and her journey with Dandelion. Mukta’s Dandelion Exhibition at Taj Vivanta Ambassador, New Delhi is an unique exhibition where art, craft, design & fashion come together in a specialy curated space which celebrates slow living through beautifully crafted artifacts, which are handwoven, handprinted and hand embroidered to perfection. What is slow living lifestyle Exhibition by Mukta? 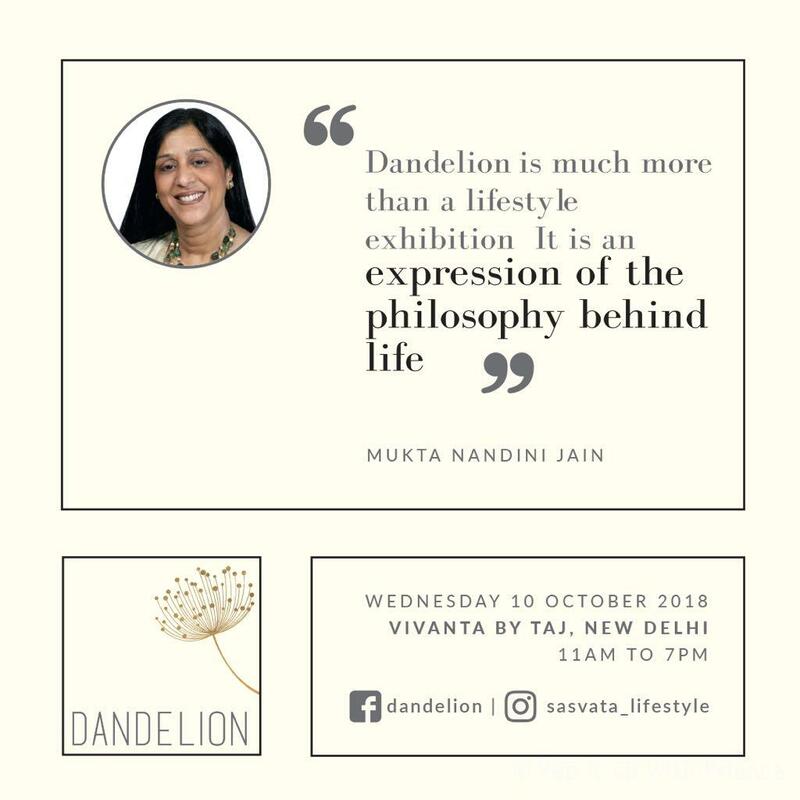 Celebrate slow living with Mukhta’s Dandelion. 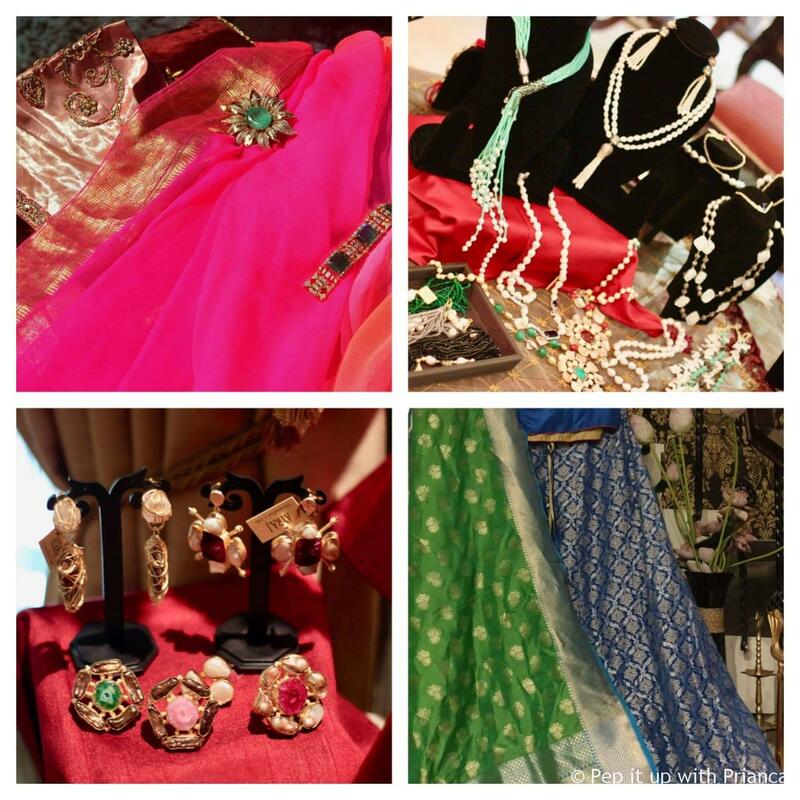 Enjoy the beauty and the artistry in the creations and products on display at the exhibition. Disconnect from today’s fast paced world and enjoy, appreciate the beauty of artifacts. People who understand & value the art & craftsmanship. Each item of art, clothing, craft is carefully curated and one of its kind. The products on display are premium & authentic. Some products are handmade,handwoven or embroidered which adds the X factor in each item. Why should you attend Dandelion ? People with great taste in art, craft and fashion can enjoy this exhibition. All products at the exhibition are premium and classy. 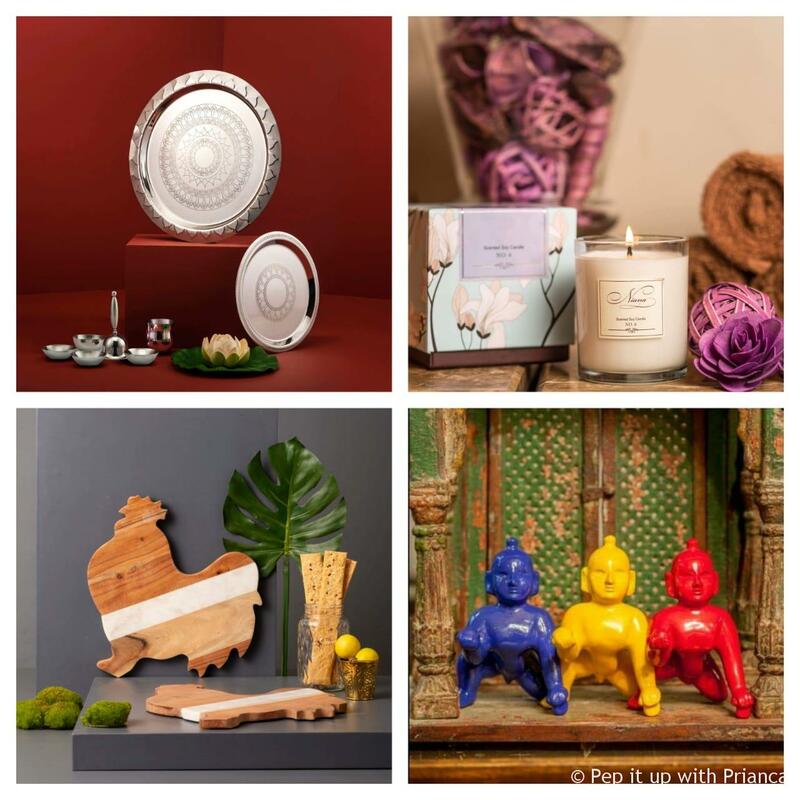 Pick and choose from the wide rage of curated designs and artifacts. 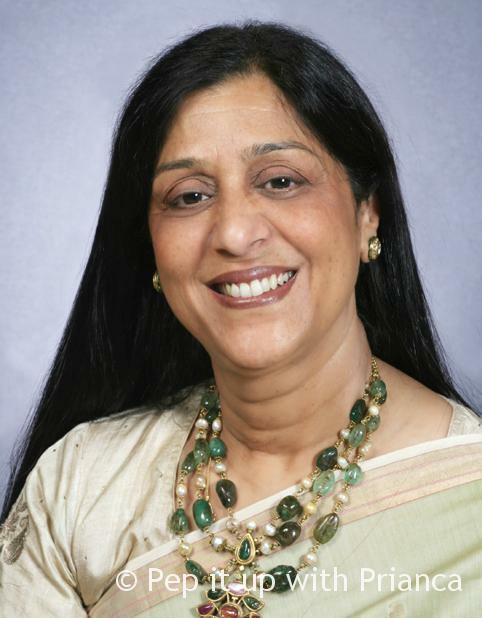 Mukta believes in promoting new and upcoming talent and giving them a space to display and showcase their innovative products at her exhibition. Dandelion is now a respectable platform to launch new designers, labels and brands. So, Come witness the perfectly curated art, fashion designs, craft at the Dandelion.It is that time of the year when we like to celebrate under the clear bright blue skies. 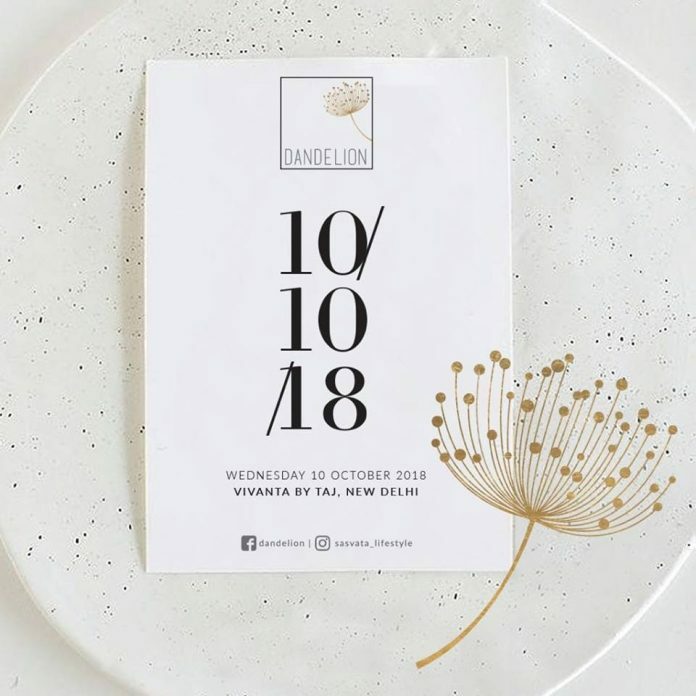 Dress up from the hand picked collection of light embellished clothes, accentuated with personalized jewellery , dine with fancy cutlery and crockery, perfumed candles, over beautifully embroidered home linen and much more in the shopping space at Dandelion . Mark your busy calendar for Dandelion’s festive edit.